Get out in the sun! Now it's time to get back out in the sun! This winter has been different than others because it has been a lot colder. So spending time outdoors has not sounded very fun to me at all. But now that the weather is warming up I can feel a pull to get outside. Are you feeling it too? Many people are afraid of the sun and try to limit their exposure to it, but God knew what our bodies would need and provided it for us. Laying out in the sun for long periods of time getting baked probably isn't the best thing to do. I am not the type of person that enjoys laying out in the sun but I can still get benefits. I like to work outside in the yard or garden, go for a walk, or read a book outside. Depending on your skin type, you may needs as little as 5-15 minutes on your hands, arms and face 2-3 times per week according to the World Health Organization. That seems doable to me! This month make an extra effort to get out in the sun more and enjoy the benefits of Vitamin D.
March is my most favorite month of the year! I love that things start to come alive - birds are singing, flowers are blooming, the grass is growing (well, at least that is how I remember March up in the Valley ;) Just two weeks ago we had snow but, I walked outside yesterday to find blooms on our fruit trees! Spring just feels like a fresh start. Spring cleaning will be in full swing at our home next week when the kids have Spring Break (we like to call it Spring Work 😂😉). And with all of this spring cleaning going on it's also a great time to do some spring cleaning of another kind. We've had months of cold temperatures and months of celebrating and now it's time to clean up! This month I'm going to focus on inflammation. 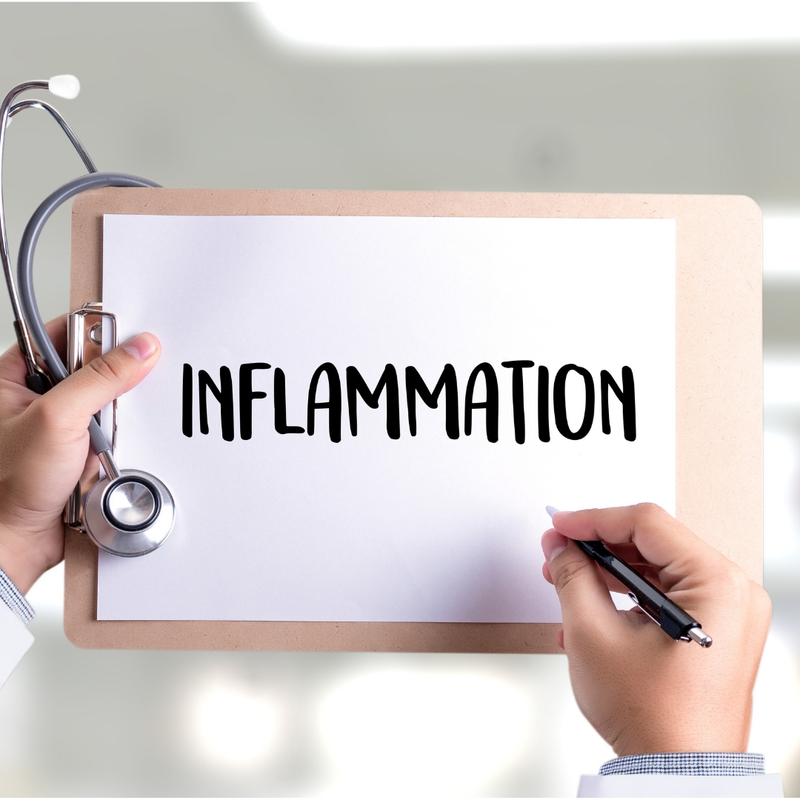 Do you know what causes inflammation? Diet, lack of exercise, and too much stress are certainly contributing. Well, it depends on the kind of person you are. If you are an all-or-nothing kind of person you can tackle some or most of these things in one swoop. Or, you can ease yourself into it by making small changes and build on those. I think this is the category where most of us fit into. 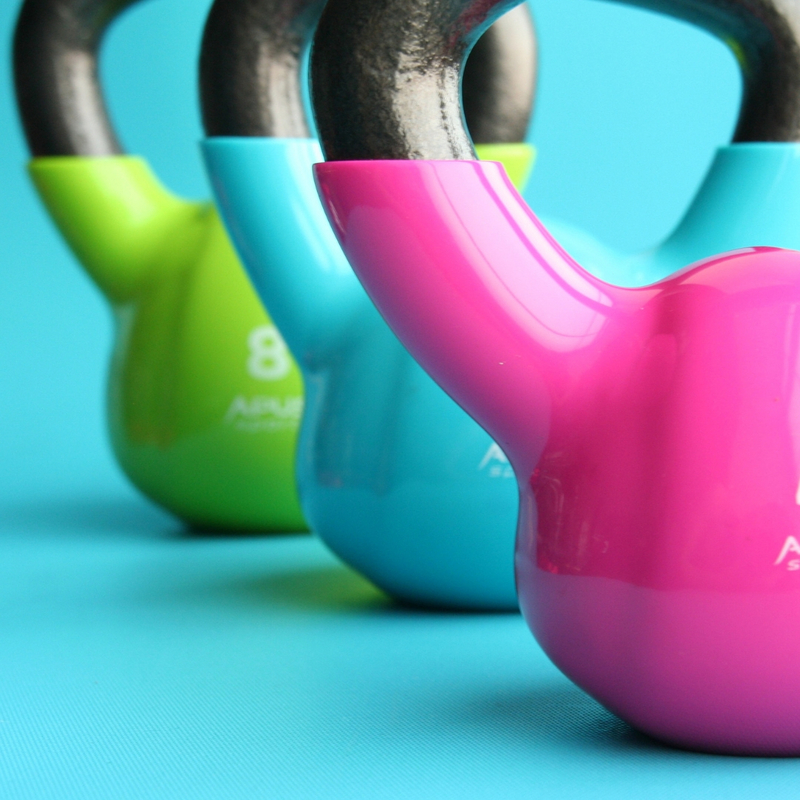 This month, pick one area - diet, exercise or stress - and do some spring cleaning. Just pick one of these foods and cut them out for the rest of the month. If you choose to exercise, is it time to roll out the yoga mat, take a swim, lace up your shoelaces? The whole point here is to MOVE! Just get started. Don't worry about doing the right thing or even doing it perfectly. Your body will thank you for getting it moving! 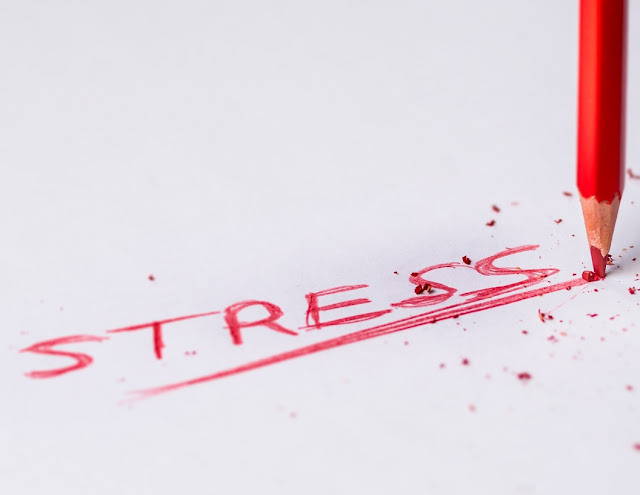 And if you want to tackle stress what should you do? Or maybe it's a question of what you shouldn't be doing! First, I take a look at all of the things that I am doing - writing a list really helps. Then, I look at my list and start crossing things off that I don't really need to do. Next, I look at my list and see what things I should be doing - but only the things that would contribute to my well-being. Maybe it's taking a walk outside, taking a hot bath, reading a book, or playing with my kids. Warning: You should NOT add more to-dos to this list. I remind myself often to not should on myself 😂. What area are you going to work on this month? I'm trying to get more vegetables in and I love the easy-ness of soups! I never had a mushroom until long after I was married. At first I didn't like them. But now?! I love them! I especially love when my husband makes them! YUM! 1. Place 1 Tbsp of butter in a large pot. Turn it to medium-high. Melt butter. 2. Add chopped veggies to the pot. 3. Put lid on pot and cook veggies enough to wilt. 4. After about 3 minutes, add your rice and broth. 5. Put the lid back on and bring to a boil. Then cook on low 30-45 minutes. 6. Whisk the cold milk and the arrowroot powder together and pour in the pot. This is such an easy meal to put together. For leftovers the next day, just add more vegetable broth and it is SO good! You can even add in some broccoli like we did! And I'm going to include fruit too! Growing up my vegetable intake consisted of canned vegetables. Corn, peas, and green beans. Still to this day I cannot eat canned veggies. And don't get me started on canned peas. Barf! But I guess there could have been worse things - like canned spinach! Vegetables we not a regular part of any meal. We did better on fruit that was in season and I especially loved getting a whole round slice of a watermelon. In the hot desert that tasted SO good! My vegetable taste buds were never developed. Then I became an adult and not until I started having some health problems did I start looking at vegetables and fruit differently. I now love all sorts of foods that I have never liked (or tried) as a kid. And aren't they beautiful? It has been something that I've been working on for the past few weeks. And it isn't has hard as you would think - as long as you have a plan! 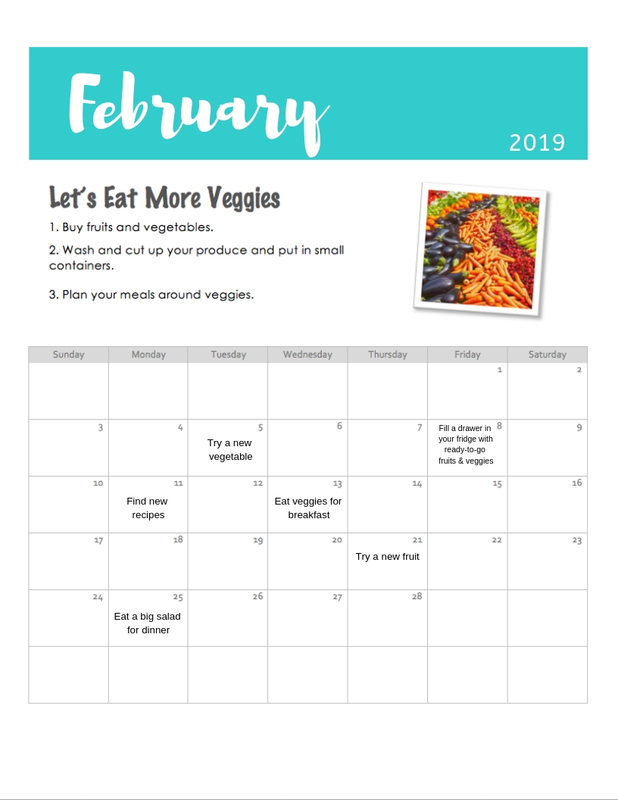 Give it a try this month! Your body will thank you! 1. Buy fruits and vegetables. This might seem like a no-brainer but it won't do you much good to have an empty refrigerator (or freezer). Buy organic as much as possible. 2. Wash and cut up your produce and put in small containers. This is extremely helpful if you are busy! Because sometimes it isn't as easy to make something from scratch. Washing and cutting seem like such a chore when you are busy and hungry. The last thing I want to do when I'm hungry is to make something. And this goes for kids too! If it's ready to go they can just grab something real quick. The days I eat at least 75% veggies and fruit are the days I feel the best. And I remind myself of that when I really feel like having brownies :) But brownies, or some other kind of chocolate does fit into my diet. 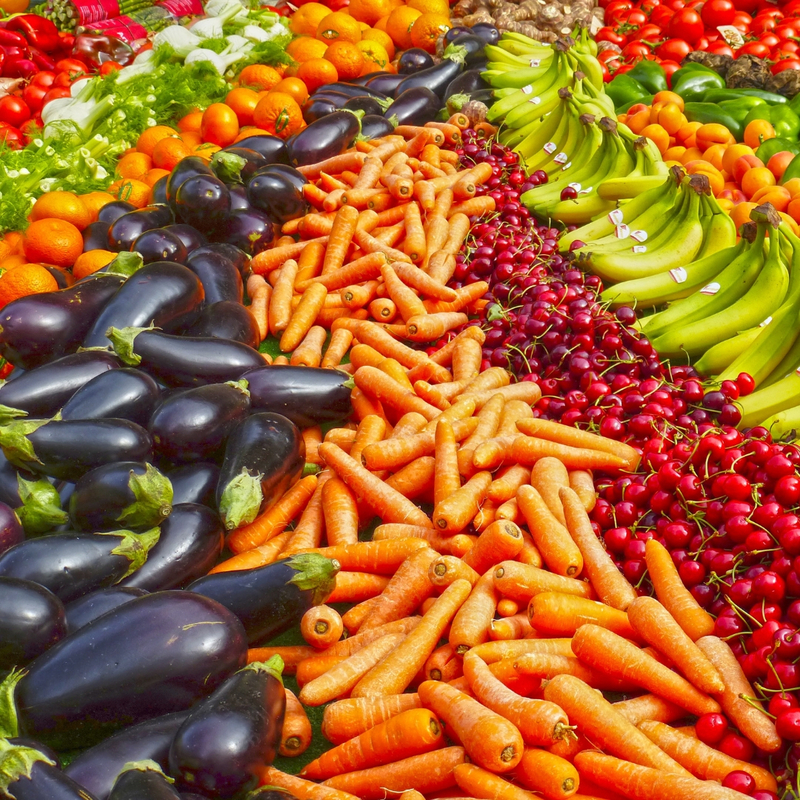 Even by just eating MORE vegetables and fruits than you already are you will feel the difference and that will give you the motivation to eat more of them. Click here for a pdf version of the calendar. I love the feeling of a new year! It just feels so good to start over and to start fresh. I was looking back and realized that I have had the same health goal for the past 3 years (or more). So this year I am going to do things a little differently. And you're invited to join me if you want! Each month I am going to focus on one goal, one area of improvement in regards to my health. My hope is that I can build on the new habits that I will make each month so that at the end of the year I will have created at least 12 new and great habits. 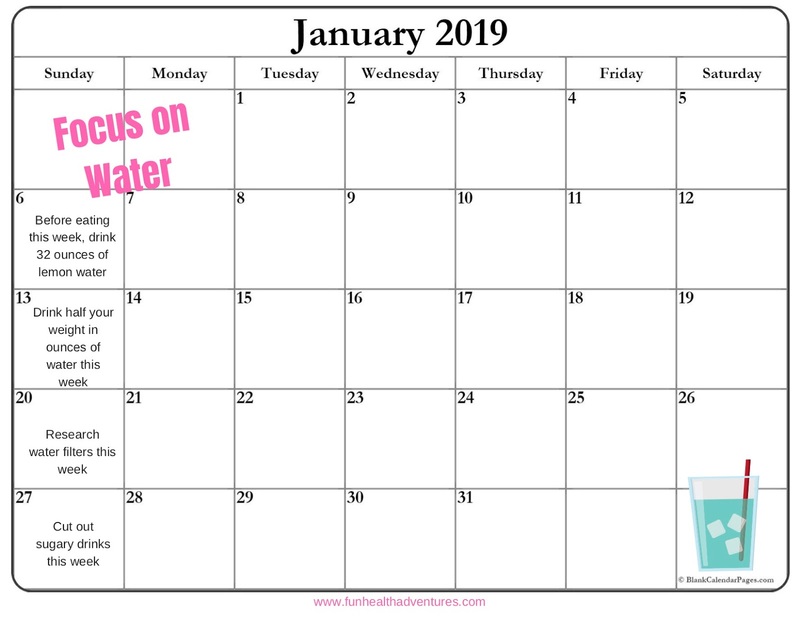 In January I am focusing on drinking more water - at least half my weight in ounces of water and more for extra points ;). Fill up my water bottles at the beginning of the day (or the night before). When I do this I know exactly how much water I need to be drinking. It also makes it more convenient to grab and go. Drink 32 ounces of lemon water first thing in the morning. This might seem like a lot but it really is easier than you think. I warm some water on the stove and add some lemon juice (squeezing fresh lemons is the best!). My husband adds a little honey to his but the warm lemon water tastes really refreshing. I drink this before I have any breakfast. Drink 16 more ounces of water before eating (if I'm doing intermittent fasting). When I am trying to eat within an 8 hour window I won't usually eat until 10 or 11 am. And that can go by so slow if you are hungry. One way to curb your hunger is by drinking water! Plus all of this water is flushing your system! Take water bottles with you. I take all of my water bottles with me to work and usually have them finished by the time I get home. Then once I'm home, that's just extra water for me! I usually don't leave home without at least one water bottle. When I'm home I make it a point to have a certain amount of water bottles gone by a certain time of day. For example: I'll have another 16 ounces of water before noon. And another 16 ounces by mid-afternoon, etc. If drinking water is hard for you add some flavor. I love going to nice hotels and getting their flavored water: cucumber, strawberry and lemon, mint and cucumber, mixed berry. You can also make it a game and tell yourself that after you drink all of your water you can have another kind of beverage. 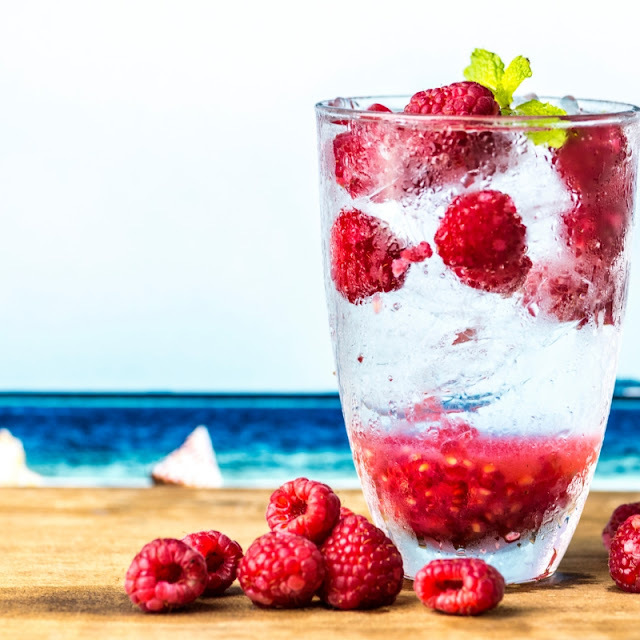 (You'll soon find that your body craves the water and doesn't care much anymore for the other beverage) Mix it up a bit and you'll be surprised at how much water you can drink! I you would like to join along, click here for a calendar to help you remember to drink more water! The past month and a half (or so) I have been in quite a funk. My frustrations were at an all-time-high! Maxed out! Through the roof! Steam coming out of my ears high! And they were frustrations about everything! I haven't experienced anything like this (well, at least for this amount of time). So I was totally caught off guard. I'm still working myself out of it and am feeling SO much better! I dusted off some old (and newer) videos that I had. And I got my last pair of Nike Shox out and got to exercising. The first workouts I did involved lots of kicking and punching!! And that felt really good! Right now I'm just focusing on moving my body, listening to what it needs that day, and spending at least 20 minutes per day in some sort of exercise. 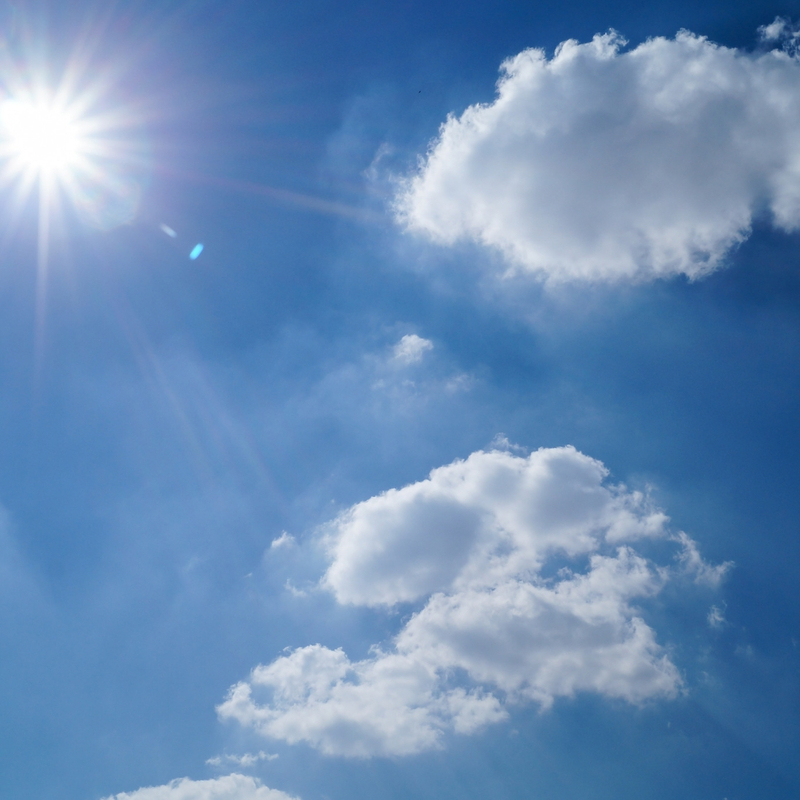 You're not only getting some exercise in, but you are also getting Vitamin D! Did you know that being outdoors helps with mental health? ...A 2015 study, done at Stanford, found that those who walked in nature experienced less anxiety, rumination (focused attention on negative aspects of oneself), and negative affect, as well as more positive emotions, such as happiness. Walking outdoors has been a big help! I love to combine this one with #2. I love when I can do two things at once (effectively). And this is one of those things that can be multitasked! I love being outside but I also LOVE listening to podcasts! I love learning new things and seeing things from different perspectives. 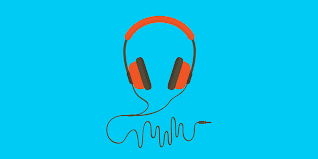 Listening to podcasts is a great motivator for getting me to walk! It makes the time go by so much faster (and it distracts me from the things that frustrate me!). I will also listen to scripture and church messages - something uplifting and inspiring. I try to do this before getting into my podcasts. I've also been doing more journaling - writing things out. And sometimes I get it all out on paper and then send it through the shredder! That feels really good! I saved the best for last! This one is THE most important one for me! It wasn't until I finally threw up my hands and prayed to God and really asked for help that I WAS helped! I asked for help through the enabling power of Christ's atonement, because He's the only one that knows my pain! And God and Jesus Christ are there and want to help - we just have to ask and let them in! I think if I had done this one first I wouldn't have been in quite the funk to begin with! Sheesh, I could go on and on with other tips and tricks that I've been doing (visiting my sister, being grateful, memorizing scriptures, working on goals, helping someone, taking a bath, going to bed early, cleaning and organizing, etc). But that's a good start for sure! Last month we got to go to Prescott to watch our 2 daughters play in State Basketball Tournament games. Prescott is one of my favorite places to go. I love the weather, culture, atmosphere. I also have a lot of childhood memories up there. I just love everything about it! We stayed a couple of days and it was so nice to be out of our element. Out of our daily routine. And to be able to really enjoy each other's company! Anyways, we try to stay in a home as much as possible and I think that is one of my most favorite things about vacations - not being stuck in a hotel room and eating out every meal! This was our front yard! One of our first stops was to get food! I sure wish we had a Sprouts near us. I could spend hours in there! We kind of have a deal where he is in charge of the meat and I'm in charge of the salad. It works out really well! One morning we took a little walk to the courthouse (1 mile away). We stopped at a place across the street to get some hot chocolate because we were all freezing! It made the trip back so much better! We also took a quick drive to the lake and hiked around for a while. I LOVE walking in the forest! As we were walking I remembered what I had read in one of Dr. Sara Gottfried's books - that walking in nature is good for your health! Here's an article about it. And here we are all together, on our way to watch the girls play! This was just a quick trip - 3 days/2 nights. But it's the little moments that create the wonderful memories! I think I needed that reminder today!